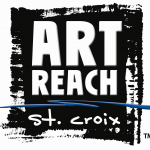 ArtReach St. Croix is a non-profit organization dedicated to connecting the St. Croix Valley community and visual, literary and performing arts. ArtReach is a partner in community arts events, supports the work of artists and other arts organizations, and provides arts leadership within the St. Croix Valley community. In March 2010, we officially changed our name from ArtReach Alliance to ArtReach St. Croix. This was done to reflect who we are – a St. Croix Valley organization. ArtReach St. Croix works to preserve the unique nature of our community. As the prominent arts organization in the Stillwater area, ArtReach has become a vital part of the quality of life we all enjoy. The arts create jobs, bring tourism and contribute to the economic prosperity of our community. But most importantly, the arts bring balance, enjoyment and understanding to life. We promote and foster the diversity of arts in the St. Croix Valley, which is a foundation of our area’s identity. The arts are a major part of who we are, why people are drawn here and why they stay. Through community art events, professional development for artists, extensive community outreach and providing an information hub for the arts, we work to develop an arts audience and connect the community and the arts. ArtReach St. Croix is supported through memberships, individual gifts, donations from community and business patrons, and by grants from foundations and corporations. Read on to learn about our mission.